Seven students of the Bermuda Small Circle Jujitsu Academy [BSCJA] have achieved the rank of black belt during the semi-annual grading period this past week. 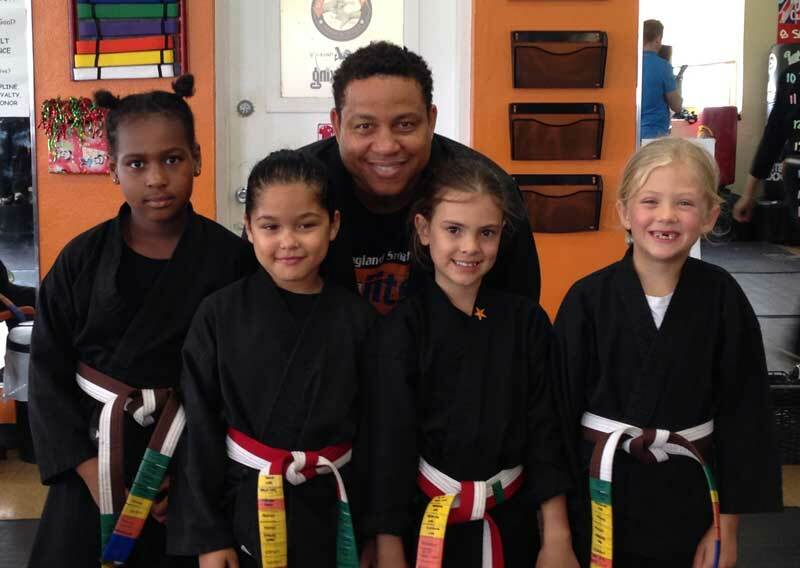 Earning their Youth Black Belts at the ages of 7-8 were Leauna Young, Emily Orchard, Akina Williams, Hanna Taylor and Sawyer Adderley. The students have trained for more than four years to achieve their newly earned rank. “In addition to demonstrating mastery of the techniques at a level suitable to their age and belt grade, BSCJA students must also display self-discipline and respect in all aspects of their lives – school, at home and in the community. Sensei Shawn Harvey said, “It’s amazing that despite all the distractions and challenges children face today, these students rose above it and remained committed to an important goal. That five of the seven new Black Belts are female shows that leadership in Bermuda is changing. “Sensei Harvey owns and operates BSCJA with his wife Terrielyn, who serves as the Director of the school. They are supported by their son Shawn Jr. [also a Junior Black Belt] who assists with coaching and mentoring when he is home from university in the United States. Mrs. Harvey said, “They come together to train in a non-violent, respectful manner. Because of their commitment to being their best in everything they do and the training they do together over a long period of time, they have become a really upstanding community of future leaders. 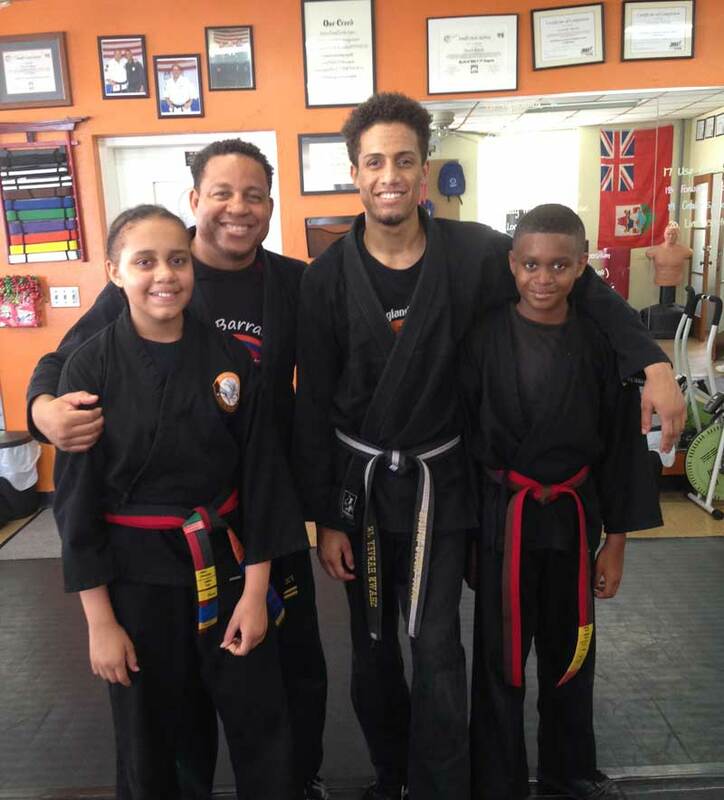 Shawn Jr said, “Seeing a group of young students achieve the rank of Black Belt here in Bermuda is incredible. It means so much more than being able to fight; these kids have built up their self-esteem and self-confidence. They’ve shown commitment and they always try their best. “They’ve all had their challenges and they’re not necessarily the top athletes or scholars in Bermuda, but they do well in everything because they have strong principles, great self-discipline and they try really hard. They’re good people living better lives than they would have if they didn’t have this experience. For more information on the Bermuda Small Circle Jujitsu Academy, visit the website or call 292-9234.